June 28-30--Sold out! Taking wait list. Come water your soul with the pure, captivating tones of the Alchemy™ crystal singing bowls. 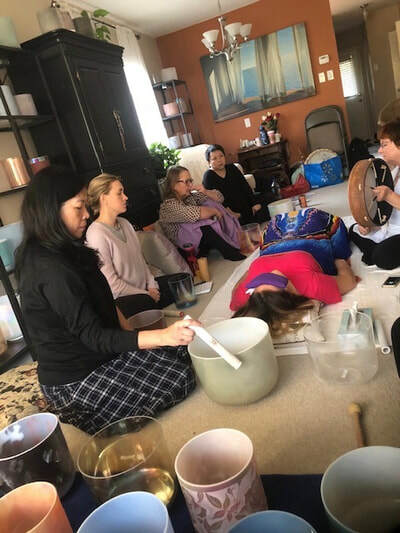 This 3-day, in-depth training is an extraordinary encounter where you will learn to use your voice, crystal singing bowls and other sound therapy tools for profound wellness. 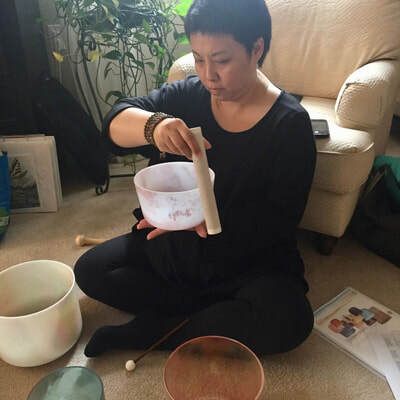 It's the only training in North America where you will play over 100 bowls with 9 other students, in a healing ensemble conducted by Alchemy™ Crystal Bowl Master, Kaasay. ​Since 2015, this training program has attracted a diverse group of professionals, including health care providers, chiropractors, naturopaths, counsellors, yoga teachers, energy healers, massage therapists, meditation instructors, hospice caregivers and nurses. These people have used the training to help their clients and themselves achieve vibrant health. 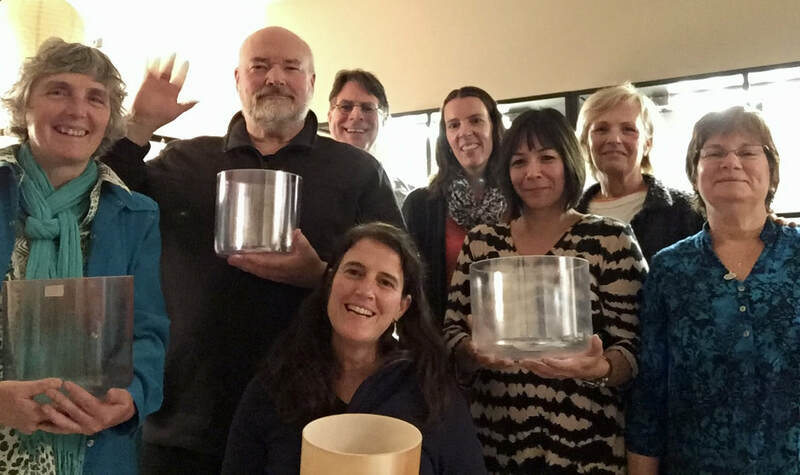 The extraordinary Alchemy™ quartz crystal bowls are beautiful, transformative, healing musical instruments. They are a gateway to healing on all levels — emotional, mental, physical, and spiritual. 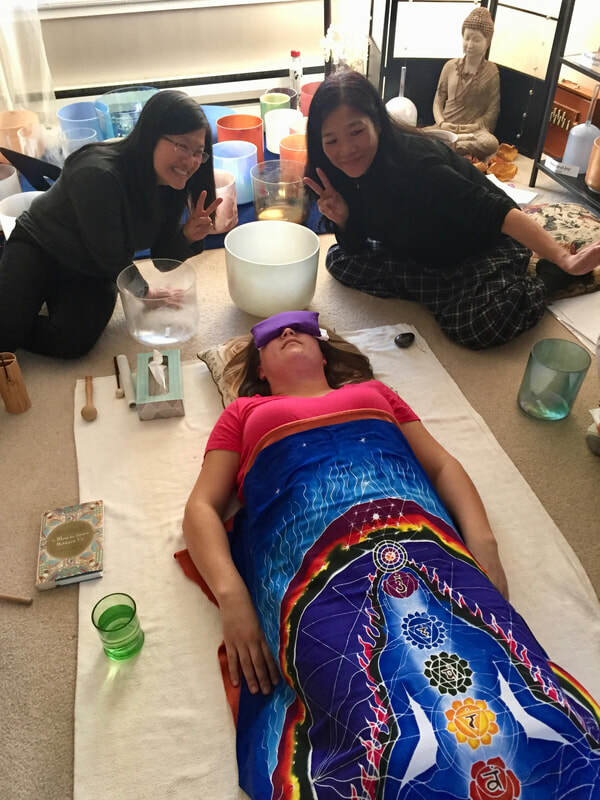 Learn sound healing techniques that transform cellular structure, shift brain states, reduce stress and reconnect you with your true Essence. I was transported to blissful realms by your exquisite bowls. You are a master! She played her bowls in a way that spoke to my soul. This 3-day intensive training program provides hours of hands-on bowl playing and experiential learning. Each student receives an individual sound therapy treatment, so that they can understand at a profound level the impact of this work. 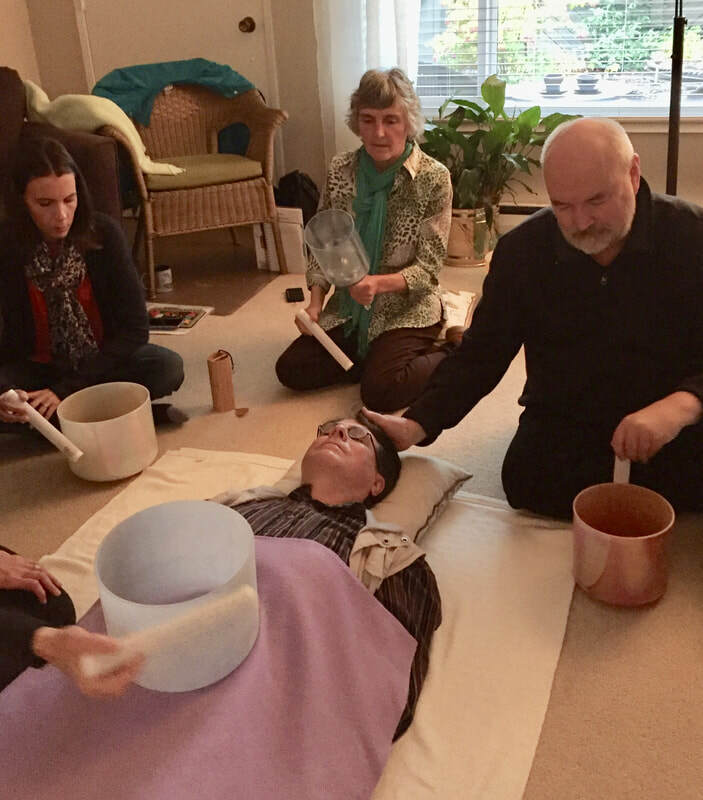 The course delivers knowledge about the science and spirituality of sound therapy. 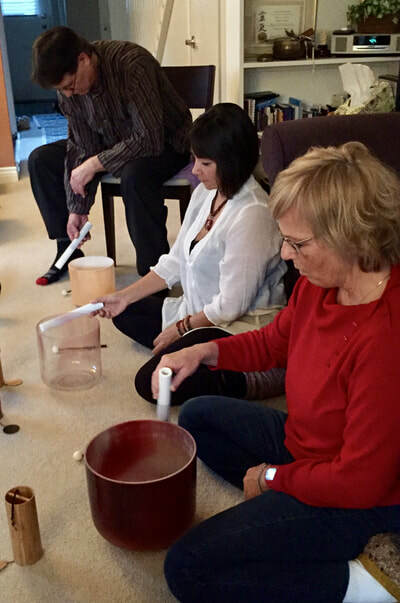 It delivers skills to develop safe, professional sound therapy practices. It teaches proven techniques that are evidence-based. 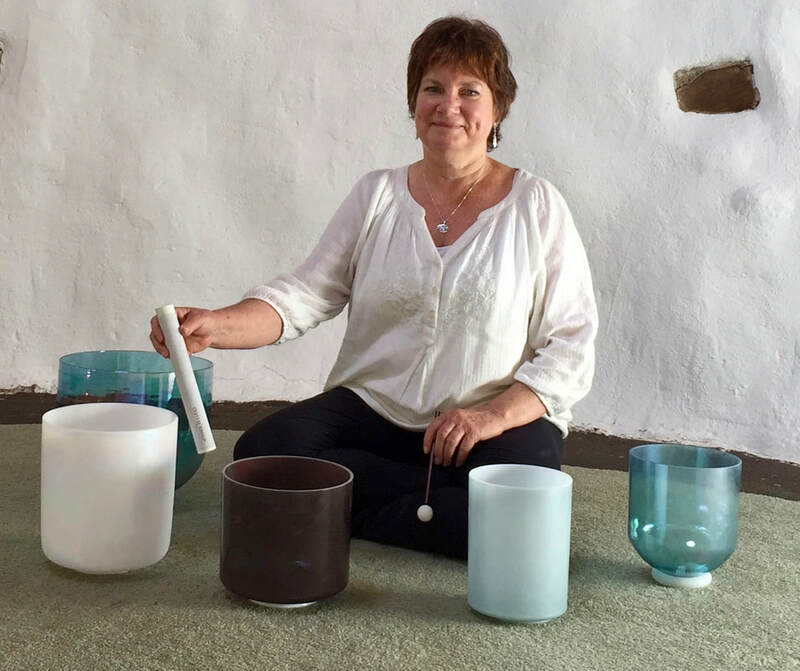 Kaasay's method combines therapeutic sound with voice work, self-reflection, mindfulness and self-awareness. Whether you are a beginning or advanced sound practitioner, this is your opportunity to dive much deeper. 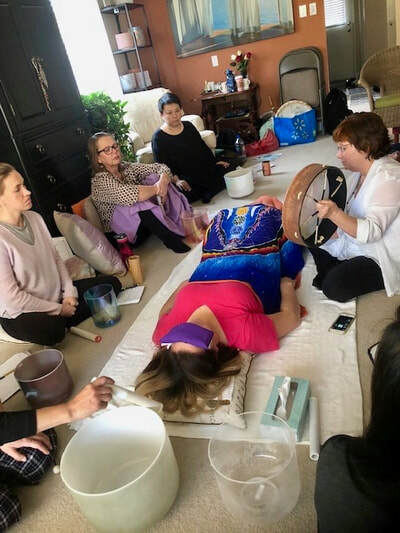 You’ll be immersed in crystalline sound baths daily and experience first-hand the soul-nourishing and life-changing properties of healing sounds. 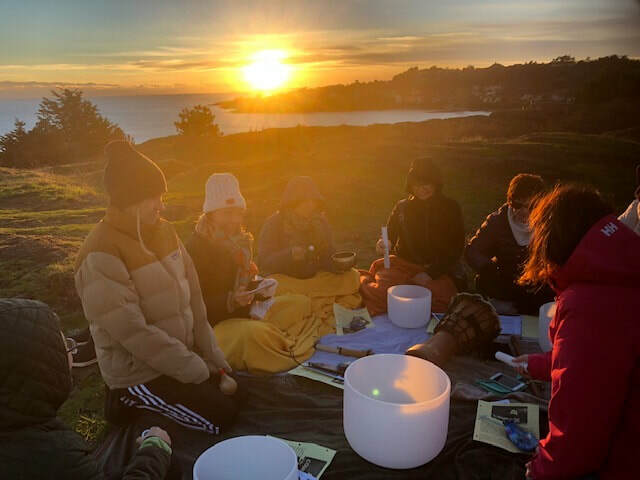 Kaasay creates a safe and sacred space for the group to dive deep and swim in an exquisite sea of peace, love and awareness. I feel nourished from root to crown! It is magical. Come and experience this lovely gift and blessing of pure bliss . . .
How to increase the healing effect of your sound by playing the bowls in alignment with your Divine Essence, with elevated consciousness and loving intention. ​What a profound, beautiful heart opening experience!!! It was love in action. 2. 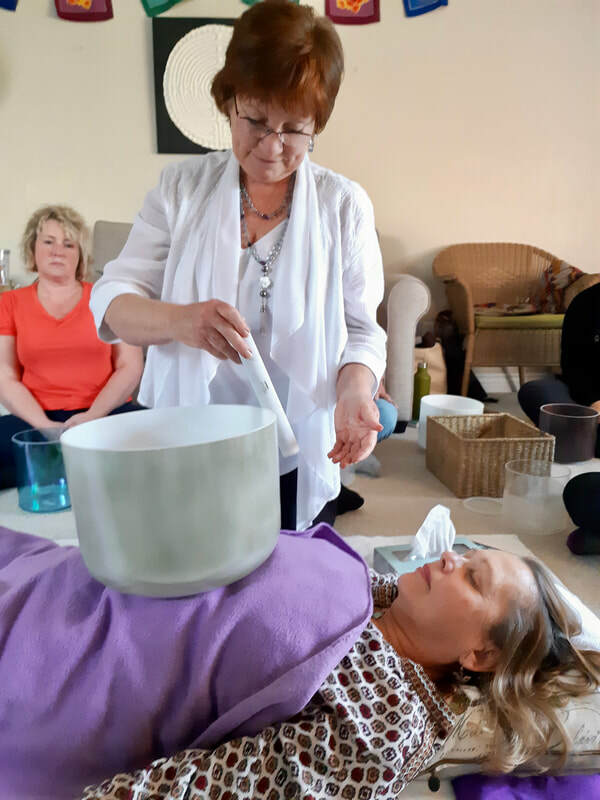 Daily immersion in Alchemy™ crystal bowl sound baths, so that you can experience the beneficial effects of sound therapy first-hand. Each participant will receive an individual sound therapy session from the students, under Kaasay's direction. 10. OPTIONAL 4-hour post-training Practicum, tailored to your objectives. A personal post-training coaching session via live video once you have completed the practicum. 12. Membership in the Crystal Bowl Collective--a private Facebook page where you can exchange information with other graduates and continue to learn from each other. 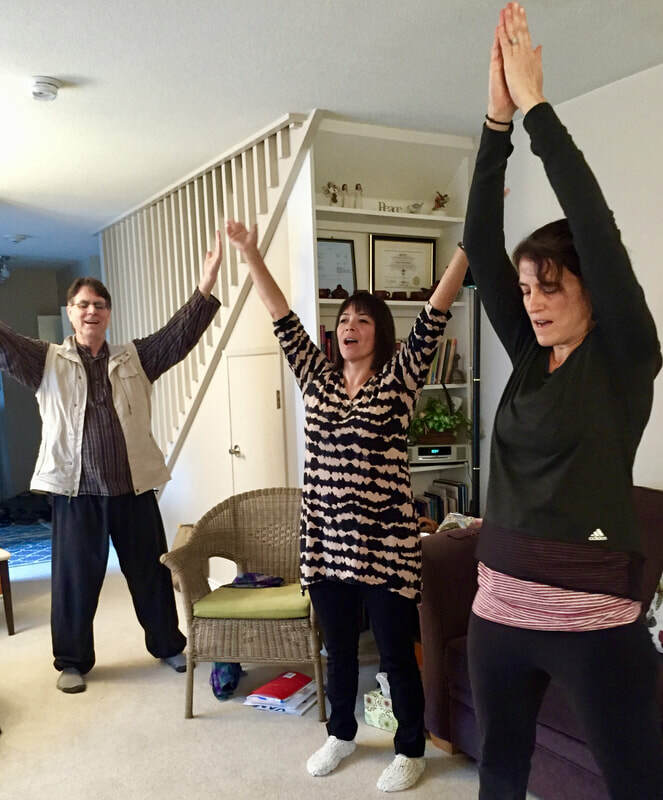 The training takes place at The Sound Sanctuary, a serene health studio in Oak Bay, BC. It's located in the heart of Oak Bay Village, 10 minutes from downtown Victoria, and 30 minutes from Victoria International Airport (YYJ). There are restaurants, shops, and amenities within a few blocks. Willows beach, one of the most beautiful in the region, is a short 2 kilometre walk from the Sanctuary. There is a B & B within short walking distance that gives a 10% discount to training participants. Tourism Victoria can also recommend other choices and advise you about special discounts. DAILY: 9:00 – 5:00 each day, with a one hour lunch break, and shorter breaks throughout the morning and afternoon. You'll receive a personal consultation with Kaasay (by phone, Skype or FaceTime) to discuss your goals and intentions. At that time, you can also consult her about purchasing crystal bowls. Students receive significant discounts on bowl purchases. It's an option (but not necessary) to purchase them in advance and use them during the training. 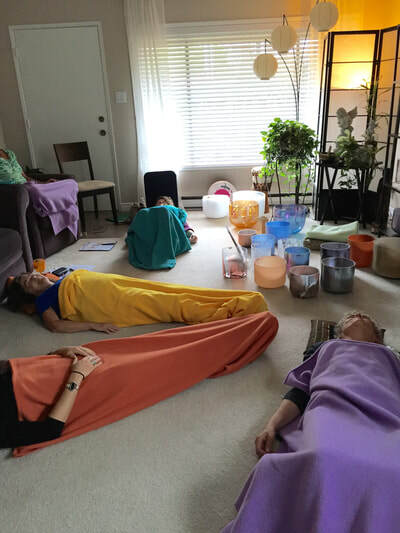 They'll then be infused with the energy of these three days of healing intention. For those who don't wish to purchase bowls, top quality Alchemy™ bowls will be provided for training purposes. Since 2007 Kaasay (Nancy Watters) has been a member of the Tlingit Wooshkeetaan Eagle clan of SE Alaska. Her name, given to her by Elder Mary Brown, means "Higher Voice". Mary was a Baha'i who ceremonially adopted people of many ethnic and racial groups, to demonstrate the Oneness of the human family. 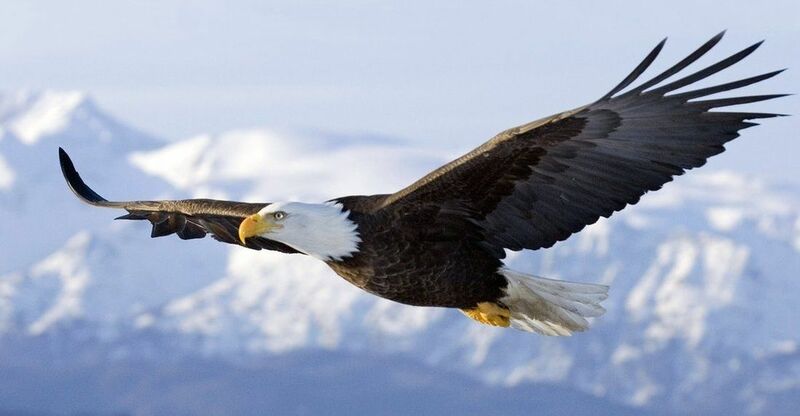 ​We summon the Eagle when we are about to embark on a challenge, a life change, or a creative endeavour. Eagles encourage us to be courageous, reach higher and to explore and grow beyond what we think we can do. I'm so happy you're here! I am passionate about sound and music. It is so beautifully and powerfully healing. 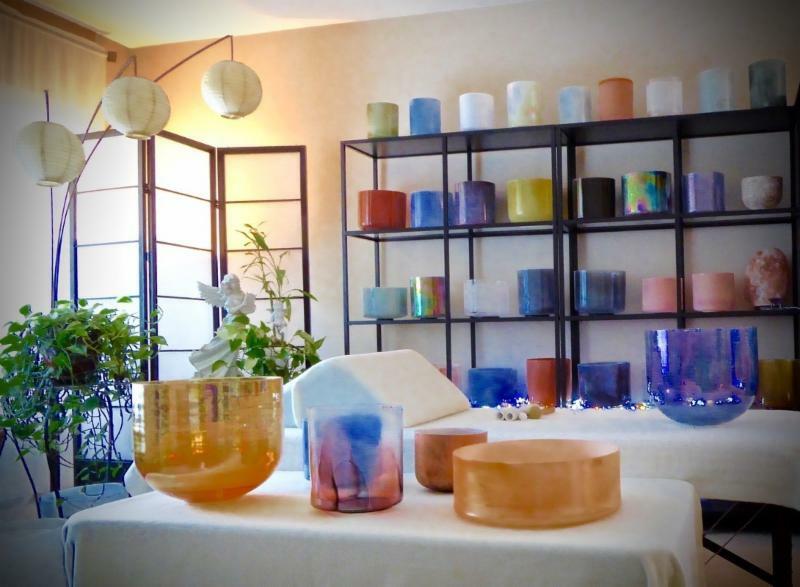 In particular, the soothing vibrations of the luminous crystal bowls have helped me overcome many significant life challenges and I am absolutely sure they will help you too! ​I love helping people achieve vibrant wellness this way. 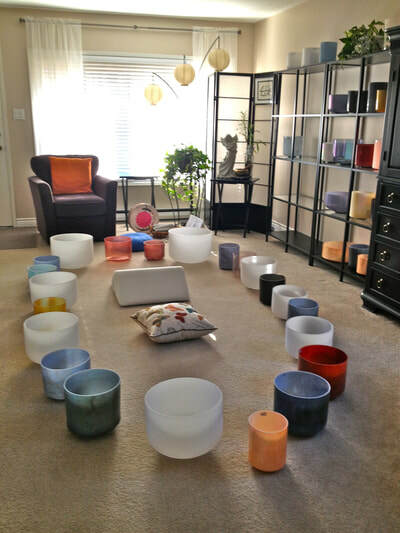 Over and over, I see how the Alchemy™ crystal singing bowls help people activate their own health, love, compassion, gratitude, and courage, and pass those soul-qualities on to others. Over my 30-year career, the thing I've enjoyed most is facilitating intimate, small-group training courses. And of all the subjects I've taught, this my absolute favourite! It combines all the skills I've learned in one awesome package. I'm helping people enrich their lives through sound. And giving helping professionals another powerful skill for their tool-kit. 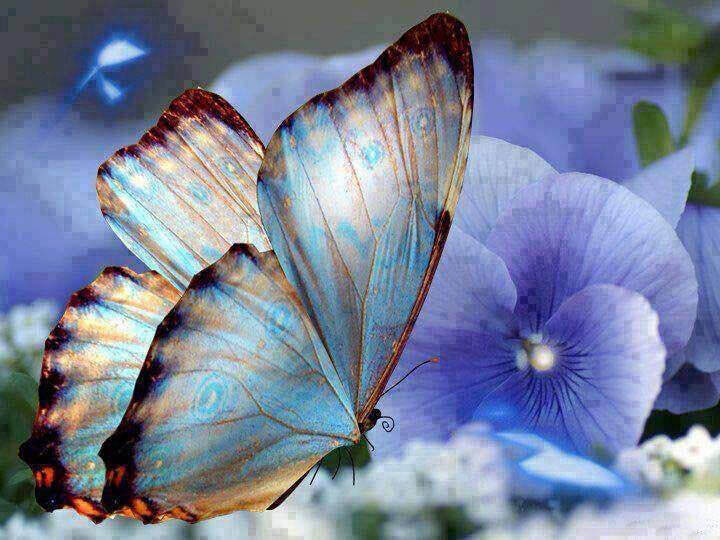 Your personal transformation is a priceless gift for yourself and those you love. Every step along your sacred life-path enables you to activate special talents, become authentically joyful, and be of greater service in the world. It is my intention that this course will nourish each one of you far beyond the monetary cost of the program, and that the benefits will continue to unfold for many years. 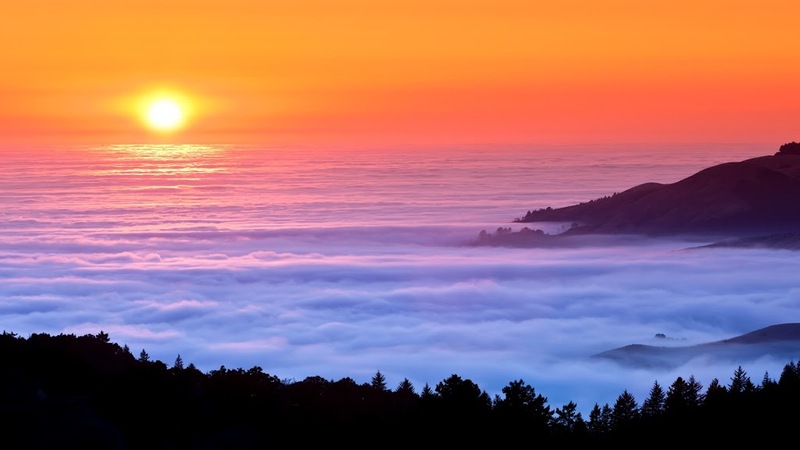 The beautiful sound journey you experience here will generate waves of healing that ripple out to many others. 10 -12% student discount on any Alchemy™ Crystal Singing bowls in stock, upon completion of training.